The nuclear arms race between the United States and Soviet Union during the Cold War motivated both sides to launch spy satellites to monitor each other’s nuclear activities. But since the late 1990s, the space domain of government spy satellites has increasingly opened up to swarms of commercial satellites that provide new opportunities to peek at possible sites of nuclear weapons development worldwide. With the rise of commercial satellite imagery, nongovernmental organizations (NGOs) and journalists no longer need to rely solely upon scraps of declassified information or spy satellite images from the intelligence community. 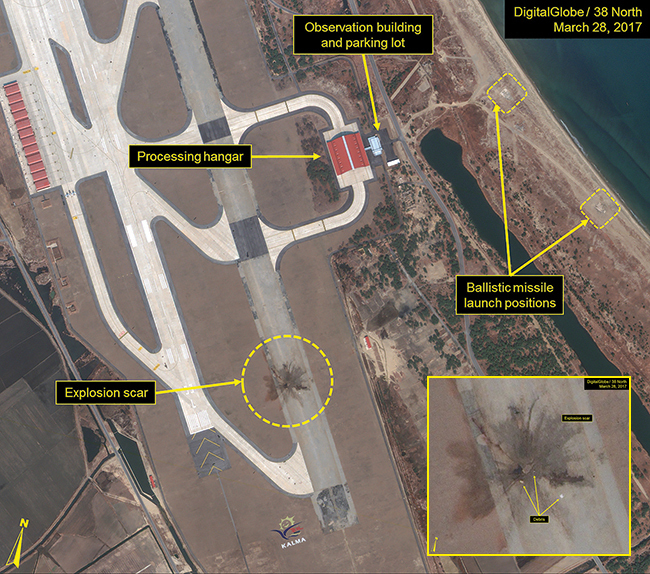 Instead, an avalanche of image data from commercial satellite companies has empowered a diverse array of experts to help monitor the latest developments involving North Korea’s nuclear and ballistic missile tests or Iran’s civilian nuclear energy facilities. However, this trend toward more sharing of open-source satellite data related to nuclear proliferation is not without its own complications. “The fact that companies are putting up their own imaging satellites means that for a price—but for an increasingly lower price—other countries, other civil society organizations, and academics like me can corroborate or dispute intelligence estimates and make our own decisions,” says Melissa Hanham, senior research associate at the East Asia Nonproliferation Program in the Middlebury Institute of International Studies at Monterey in California. Commercial satellite imagery forms a crucial foundation for open-source fact-checking of claims about nuclear proliferation. In 2011, independent analysts worked together with journalists to help debunk suspicions about satellite images of a textile mill complex that was believed to have possible connections to Syria’s suspected nuclear program. Similarly, daily satellite images have helped analysts to create 3-D maps of the sites where North Korea has conducted its underground nuclear testing and to develop upper-range yield estimates for the nuclear weapons that could be contained within the mountain sites. Having more commercial satellite imagery that can be publicly shared and discussed can potentially make the world much safer when it comes to nuclear weapons. The availability and frequency of such images makes it harder than ever for a country to pursue nuclear weapons development in secret defiance of international scrutiny or treaties. The new reality means that the international community can also more easily fact-check any given country’s claims about another country’s possession of weapons of mass destruction. The added layer of verification could reduce the likelihood of starting a new conflict over bad intelligence. And having multiple groups fact-checking the claims of the intelligence community could go a long way toward encouraging more public confidence in the policymaker decisions that follow from intelligence gathering. “If you want to have confidence in [intelligence community] institutions, it helps to have other outside groups confirm or dispute the facts in a way that is healthy for the American public to understand intelligence gathering,” Hanham says. Even the normally tight-lipped US intelligence community can more readily share public open-source intelligence using commercial satellite images without having concerns about revealing classified intelligence sources or methods, Hanham pointed out. The US State Department also previously sought outside help from NGOs in verifying that certain nuclear arms treaties have not been violated. When it comes to technology, the US government has the most “exquisite” satellite imaging capabilities beyond anything in the commercial sector, says Brian Weeden, director of program planning for the Secure World Foundation and a former US Air Force officer under the US Strategic Command’s Joint Space Operations Center. But the US intelligence community is still eager to leverage commercial satellite imaging capabilities through contracts issued by the US National Geospatial-Intelligence Agency, which is responsible for collecting and managing geospatial intelligence for all government agencies. 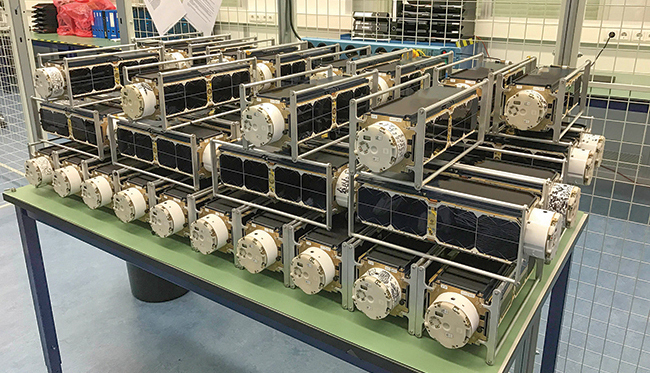 Commercial satellite constellations complement government satellite capabilities and ease the surveillance burden on the limited number of expensive spy satellites. Companies such as DigitalGlobe and Airbus have satellites capable of providing high-resolution images of ground objects as small as a third of a meter per pixel for commercial customers (meaning an NFL football would fit within a pixel). 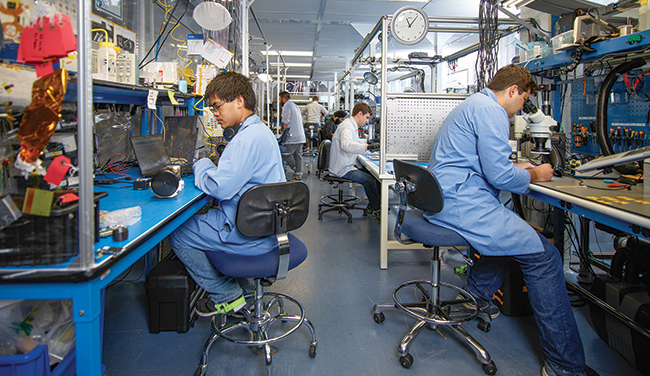 More recent startups such as Planet have deployed constellations involving dozens of smaller satellites. 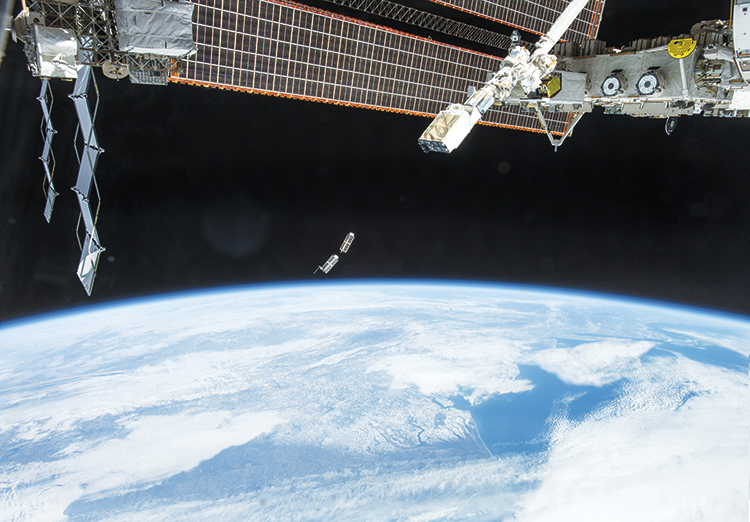 Those small satellites have lower resolution capabilities—around 3 meters per pixel (enough to count cars)—but can capture more frequent images of certain locations where suspected nuclear activities might take place. Consistent daily satellite coverage of the same areas enables analysts to better understand a site’s normal pattern of life—and potentially spot suspicious activity related to nuclear or missile testing. Government interests can still hinder open-source sharing of commercial satellite imagery. The US government sometimes demands exclusivity rights that prevent others from accessing the same images it purchases. Various governments place certain legal restrictions on the resolution of satellite imagery that can be sold or deem certain geographic areas off-limits due to national security. On the other hand, researchers interested in tracking nuclear activities worldwide can often bypass any one government’s restrictions by going through another country’s commercial satellite services, says Hans Kristensen, director of the Nuclear Information Project at the Federation of American Scientists in Washington, DC. Still, experts agree that commercial satellites have generally made much more open-source data available. Commercial satellite companies have sometimes offered low-cost or free services to NGOs or members of the media interested in monitoring nuclear arms development. DigitalGlobe has a foundation that invites independent researchers to apply for “imagery grants” in using its commercial satellite images. Planet has courted new customers by offering free services to academic researchers, NGOs, think tank analysts, and journalists. One possible complication of having more accessible satellite imagery is that any armchair analyst can spread intentional or unintentional misinformation by publishing and publicizing their findings online. But the show-your-work transparency of public open-source intelligence could go a long way toward mitigating this kind of confusion, because less legitimate analyses can be openly critiqued and discussed by more knowledgeable experts. Offers of free satellite imagery generally enable a win-win situation in any case—analysts access treasure troves of new image data in exchange for putting the spotlight on a satellite company’s brand by attracting media publicity. Many NGOs share a similar interest in leveraging media publicity by becoming first to provide breaking news analyses of satellite images related to missile launch sites or secret nuclear plants. Attention from mainstream news stories may provide a huge boost for NGOs in attracting new sources of funding and attention from donors. Despite such concerns, experts generally agree that the rise of commercial satellite imaging represents a net positive for transparent and accurate reporting on nuclear proliferation. The growing commercial satellite imagery market may even defuse some of the potential issues related to unequal access and misinterpretation of imagery, says Tamara Patton, a PhD candidate at the Woodrow Wilson School of Public and International Affairs at Princeton University. She previously authored a report on how emerging satellite technologies can support verification measures for nuclear arms control and disarmament. Jeremy Hsu is a New York-based science and technology journalist contributing to publications such as Scientific American, Backchannel, Wired.com, Discover Magazine, and IEEE Spectrum. He has also written for Popular Science, Scientific American Mind, Undark Magazine, Motherboard, and Mosaic, and was previously a senior staff writer with TechMediaNetwork (now Purch), where he wrote hundreds of news articles for LiveScience and SPACE.com. Joseph S. Bermudez Jr., “Possible Evidence of the Failed March 22 Missile Test,” 38 North, US-Korea Institute at Johns Hopkins School of Advanced International Studies, April 3, 2017. "Closing the File on Hasaka" by Jeffrey Lewis, November 4, 2011.